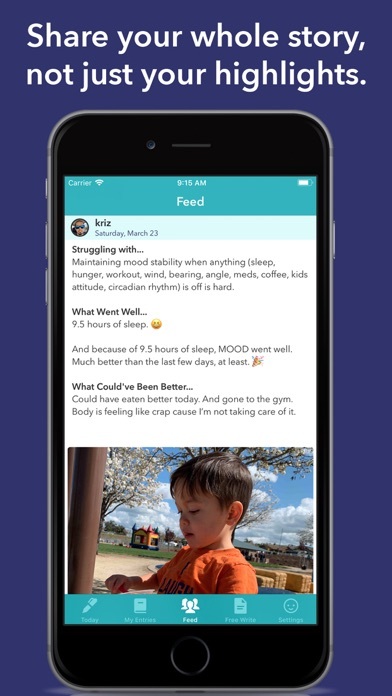 Conjour is a tool that helps you reflect on your day and increase self-awareness. It is a place to journal and share both the ups and downs of your day, not just your highlights. 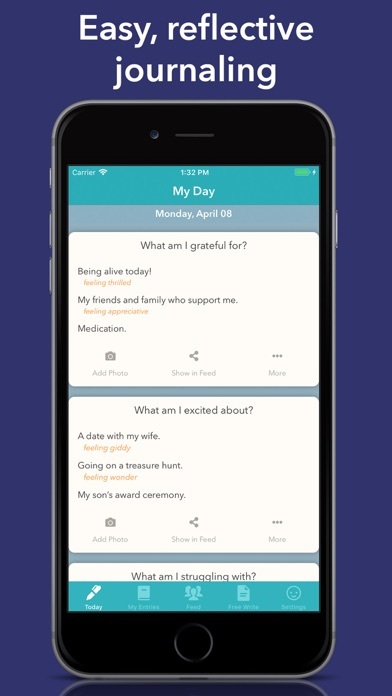 Features: • Prompts to get your thoughts moving: - What am I grateful for? - What am I excited about? - What am I struggling with? - What have I experienced? - What did I learn or realize? - What am I proud of? - What could have been better? - What went well? 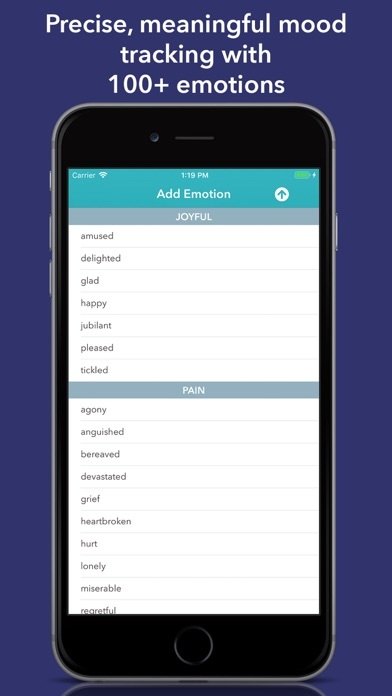 • Precisely track and journal your mood by choosing from 100+ emotions/feelings to add to your entries. Help yourself understand what you're really feeling with more than just a choice between a happy or sad face; we are deeper than that! 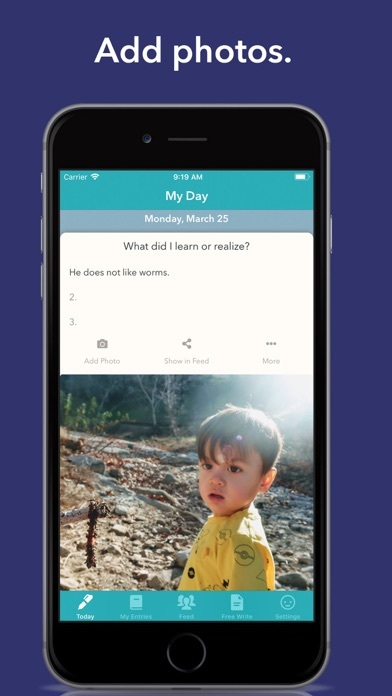 • Add photos from your photo library or camera to each entry. 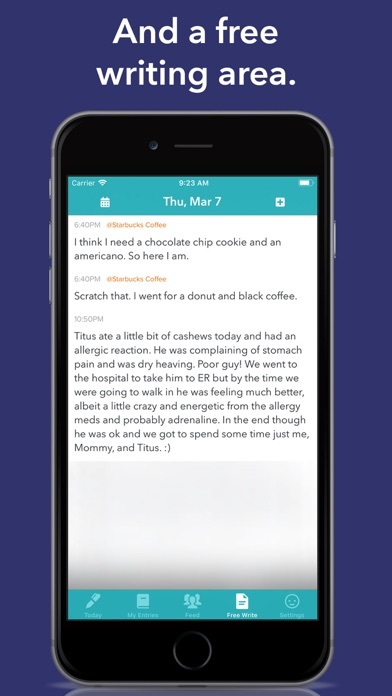 • Granular share settings so each day you can choose what to keep private and what to share • Comment on and like shared journal entries • Write down unprompted thoughts in the Free Write area. Everything is private by default. 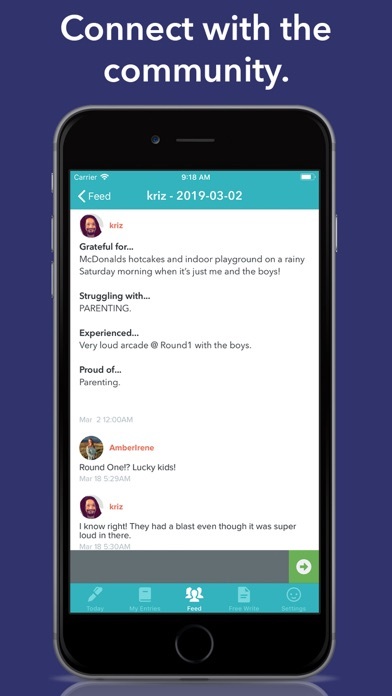 We do encourage sharing, because we want to build a support community where people can go to find encouragement and support, but if you're not the sharing type, consider creating a username that doesn't reveal your identity. Your username and profile picture is all that people will ever see; we'll never share anything else.